Certified through Dueling Arts International, Mr. Barrott has been the fight choreographer/director for numerous productions around the Bay Area. He holds a Bachelor of Arts in Theatre and a Master of Education. A theatre practitioner for over 40 years, Mr. Barrott is an accomplished actor and director, and continues to pursue scholarly work in Shakespeare and theatre. He is the Fight Director for Silicon Valley Shakespeare. Ms. Higgins holds an M.A. in Theatre Arts Education from SJSU. In the past 12 years, she has taught theatre to elementary through college students at schools around the Bay Area. 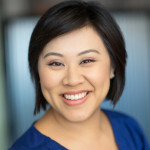 She has directed dramatic productions and choreographed musicals at Milpitas Christian, Gideon Hausner, and Keys School in Palo Alto where she is currently teaching Drama, Dance, and Public Speaking. She takes great delight in sharing her passion for theatre with her students and feels very fortunate to be able to spend her days doing something she loves. She is also SVS’s Artistic Director. Drew studied at San José State University where he received a B.A. in Theatre and the Hal Todd Award for Excellence in Acting. He has taught at several institutions including the Chicago Museum of Science and Industry, the Intel Museum, Silicon Valley Shakespeare, and Camp Shakespeare. His teaching experience spans subjects ranging from science, history, semiconductor technology, animals, cartoons, and, of course, theatre. Drew enjoys teaching and focuses on making knowledge easy to understand and implement for all ages and levels of experience. Mrs. Freeman received her B.A. and teaching credential in English with a minor in Theatre Performance from SJSU. For ten years, she taught English, film, and drama at Branham High School, and is now Director of Activities at Prospect High School. While Mrs. Freeman was the Performing Arts Chair, Branham High School received the City of San José Champion of Arts Education Award (2009) and welcomed a state-of-the art performing arts center to the campus. She also enjoys acting during her summers away from teaching, and for several years was a member of SVS’s Artistic Ensemble. 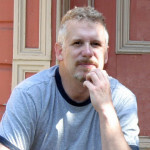 In his decade and a half of experience in theatre, Tom has directed, acted, and designed theatre projects all over the Bay Area. 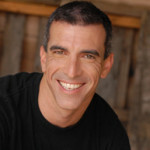 He has taught improvisation, stage combat and acting to students in K-12, as well as to adults. In addition to teaching in public schools, Tom has taught with CLAP Arts, Pigeon Players Theatre Company, and various private schools, all the while serving in the Armed Forces as a Reservist. He has taken courses with companies such as BATS Improv, Shakespeare Theatre Co. in D.C., ComedySportz, and D.C.’s Theatre Lab. 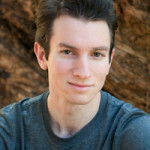 Tom is a graduate of San José State University’s Theatre Arts Program and a graduate of Foothill College’s Theatre Conservatory with high honors. Melissa received a B.A. in Theatre from SJSU, with emphases in acting, makeup design, and children’s theatre, and has also trained with ComedySportz in improvisation and with American Conservatory Theater (A.C.T.) in mime and commedia dell’arte. 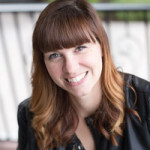 She has been a theatre educator since 2000, and has taught, directed, and developed theatre curriculum for numerous schools and organizations, including SVS, Starting Arts, Children’s Discovery Museum, The Tech Museum, and Los Gatos-Saratoga Recreation. Melissa also freelances as a makeup-artist and designer, regularly teaching workshops on application. In addition to SVS, companies she has worked with include Pixar Animation Studios, Disney Channel UK, Opera San Jose, and West Bay Opera. She is a passionate advocate of the benefits of arts engagement, with its ability to foster personal growth, build communities and cultural awareness, and encourage innovation and out-of-the-box thinking, for students of all ages and at all levels of participation.